Beyoncé and Blue Ivy Carter attend the 2016 MTV Video Music Awards on Aug. 28, 2016, in New York City. 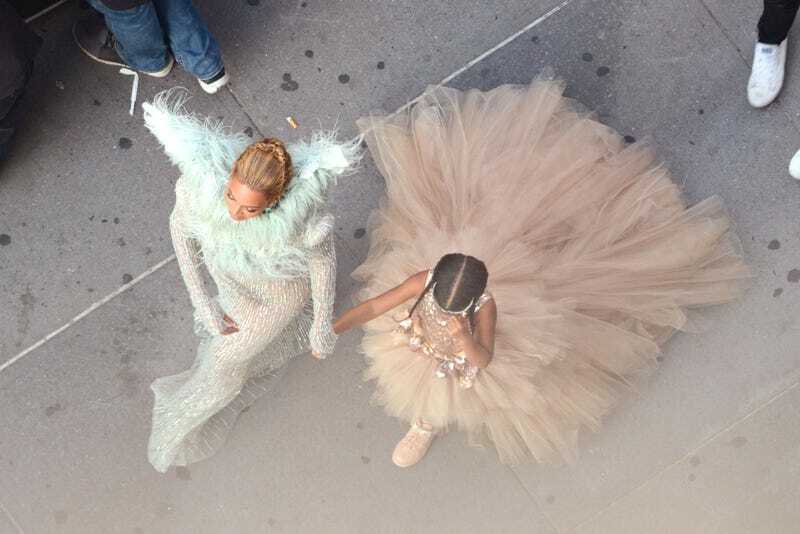 Editor’s note: Forgive us for the above photo; that’s just how we imagine Beyoncé and Blue Ivy walking into their local Target. We can always use a little “Stars—They’re Just Like Us!” sparkle to brighten up an otherwise dull Tuesday, but this one might be the best one yet. An eagle-eyed employee with a knack for celebrity spotting (if her Twitter feed is any indication) caught the world’s most famous superstar being super relatable at our favorite superstore, Target. While the best we can discern from this celebrity sighting is that it’s likely going to be a very happy Easter at the Knowles-Carter residence, it’s still fun to find out that one of the world’s highest-paid megastars still occasionally does her own shopping—and likely scored some megadeals in the process.